The next generation of daily transportation has been unveiled, and you can experience it for yourself right here at Audi Greenville. From the electric motor and Audi mobile app to the MMI® touch response infotainment system, the e-tron® exudes innovation in every way. But why just take our word for it? Discover it for yourself when it hits our lots and reserve one today. 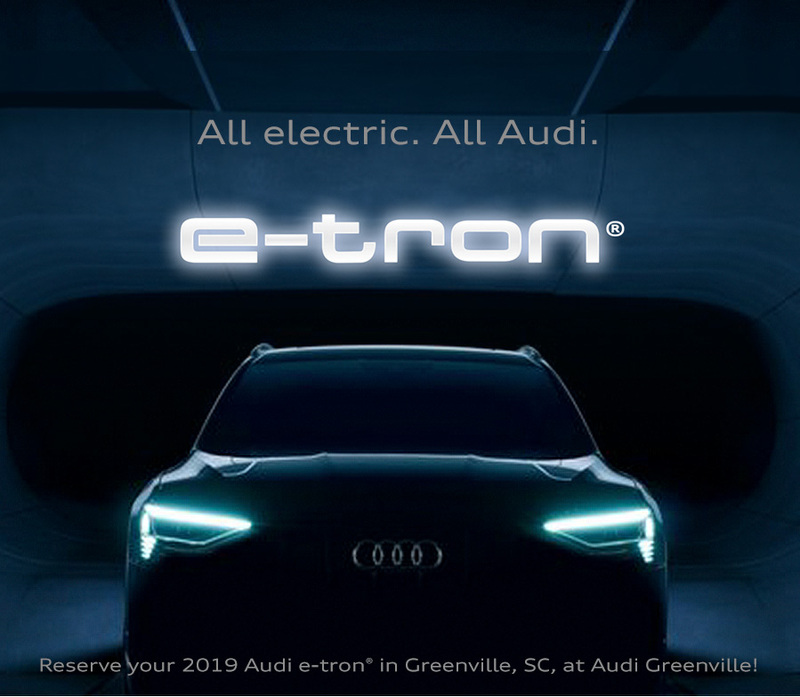 Interested in reserving a 2019 Audi e-tron®? Contact us directly or stop by Audi Greenville at 200 Duvall Drive, Greenville, SC 29607. This model is expected to go quickly, so get yours while they're still available! We look forward to serving our customers from Spartanburg, Anderson and throughout the Upstate!